I have been playing around with Wordpress off and on in my spare time. I was thinking about trying my luck using it for a new website. I just don't know if I can commit enough time to it or not. 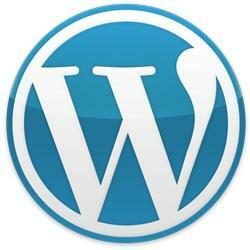 I'm sure a lot of you have probably heard of Wordpress and maybe even messed with it at one point. If you haven't it is one of the simplest scripts to install and use out there. Obviously it is a little limited as it is primarily a blogging platform, but there are tons of pluggins available for it that can increase its performance and capabilities. Many of which are totally free and can be installed in a matter of seconds. I wouldn't consider myself a huge blogger, and I certainly don't have time to do so daily. I am interested in seeing how it performs in terms of seo. Wordpress is one of the better seo optimized scripts I've seen, and Google seems to love Wordpress types of websites. There really isn't too much time involved in learning how to use it. You can figure most of it out in a very short amount of time. Which is part of the reason I am considering using it for a new website. I don't have a lot of time to learn a new script that is confusing and complicated. Don't get me wrong I love Dolphin and will continue to use it as my primary script. I was just thinking about mixing things up a little with Wordpress in my spare time, and for something different. One of the few things I dislike about it is you can almost always tell when a website is powered by Wordpress by just glancing at it for a few seconds. Very rarely have I come across one that has a different look and feel to it. But, then again, the same can be said about Dolphin too. Almost all Dolphin sites have the same or very similar layout, design, and navigation structure. You know a site is using Dolphin by just looking at it. The same goes for most scripts out there though. Anyway it's just another project I've been thinking about playing around with for the heck of it more than anything.